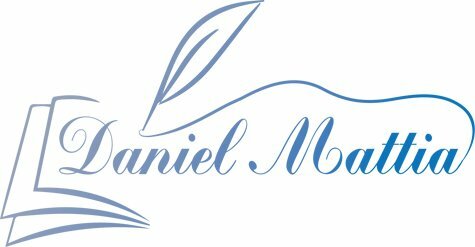 The purpose of this letter is to outline the scope of the freelance writing and editing services that DANIEL MATTIA (“Writer”) will perform for [CLIENT NAME] (“Client”). Writer agrees to write articles of [WORDCOUNT] words for Client. Writer guarantees Client with one (1) first draft edit and one (1) revision, with full rewrites costing an additional fee (as defined below). Writer assures Client that any final work submitted is of a commercially-reasonable and acceptable quality in accordance with the stylistic guidelines provided by Client; is factually sound; and is of comparable quality to published content available on Client’s website (or used as a point of comparison by Client). Client will provide any relevant information to Writer to help facilitate the accuracy and content of each assignment and is responsible for the hosting and publishing of each finished piece of work. The fee for writing services will be $[RATE], invoiced upon submission of first draft. Client will pay by check within thirty (30) days of submission (Net-30). Rewrites requested by Client due to a change in project scope and/or article/post topic will cost an additional $[REWRITE FEE]. This contract will be in effect immediately upon signing and remain in effect until cancelled by either party. Invoices will be due 30 days after receipt (Net-30). An invoice is sent upon submission of a draft. There will be a [INTEREST RATE]% compounding late fee for invoices not paid by Net-30 terms. Writer hereby understands and agrees that all Content submitted to, and published by, Client under this Agreement shall be considered works for hire, and further, to the extent any intellectual property right does not pass pursuant to a work for hire, Writer hereby assigns to Client all rights to publish the Content, and all previously submitted articles of Writer, in any tangible medium of expression, now known or later developed, from which it can be perceived, reproduced, or otherwise communicated, either directly or with the aid of a machine or device, including without limitation the rights to archive, republish, edit, repackage, or revise any Article in any manner as Client sees fit. Upon receipt and acceptance of work submitted to Client by Writer, Client relinquishes Writer of any and all liabilities, damages, claims, costs, expenses, or losses associated with Client’s defense. Writer provides the work as-is and Client’s acceptance of such work constitutes transfer of associated liabilities, etc. with the work. Writer guarantees that the work is written with the best of intentions, is free of plagiarism, and includes no slander, libel, or factually-incorrect information. Client’s acceptance of submitted work represents Client’s agreement that the work is legally suitable for publishing and distribution. Writer is not responsible for any changes or edits made to the piece after work is submitted and accepted by Client.